NATIVE EXTRACTS' innovation in CELLULAR EXTRACTION uses Biomimicry to deliver the first 'True to Nature' White Tea extract, also know as 'Tea plant' and 'Tea Shrub' is setting new standards in a water soluble extract of this popular botanical by delivering a wider range of phyto-active compounds and greater concentrations than previously known or recorded. Cellular Extracts are naturally multifunctional, and this new generation NE White Tea Cellular Extract contains a unique cocktail of powerful antioxidants, much higher than Green Tea as the leaves are harvested much earlier called catechins, which help fight damage caused by free radicals. The anti-bacterial phyto-actives helps with acne and skin blemishes, while anti-inflammatory properties have been known to help with redness, rosacea, and even psoriasis, making green tea extract an energetic skin restoring agent for any skin type. 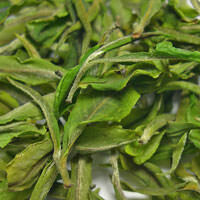 The White Tea antioxidant responsible for being such a mighty free radical fighter is epigallocatechin gallate, or EGCG. Green tea boasts the highest known amount of any antioxidant, EGCG, which research shows is 100 times more powerful than vitamin C. Create new trends with a powerful combination of activity, unique imagery and marketability. Amine : Theanine, Gallic Acid, Flavanol : Gallocatechin, Flavanol : Epigallocatechin, Purine Alkaloid : Caffeine, Flavanol : Epicatechin, Epigallo-Catechin Gallate and Flavanol : Epicatichin Gallate are peaks independently identified and verified by Plant Sciences Analytical Services, Southern Cross University New South Wales, Australia.